Thermals are one of the important parts of any self-management plan for arthritis relief. Although some clients may use ice for inflamed joints after activity or injury, heat is more commonly used. 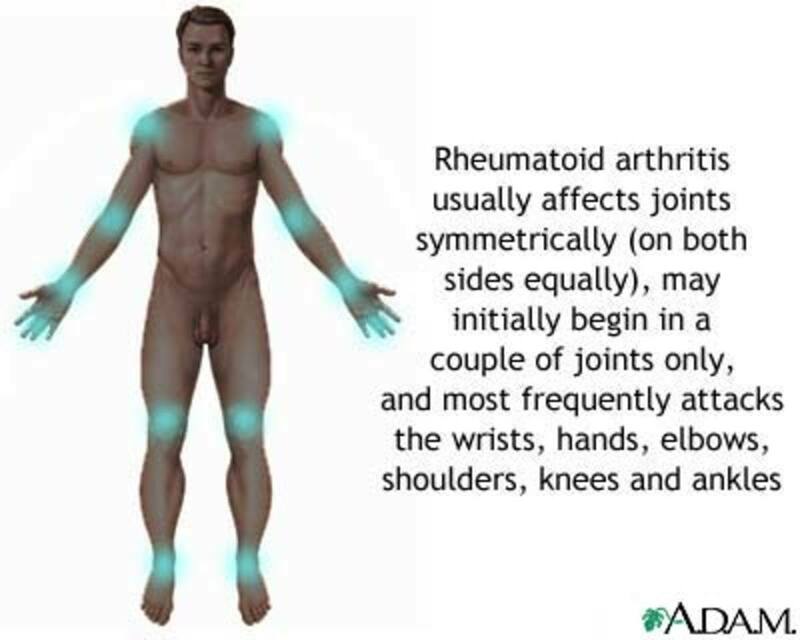 Many with arthritis begin each day with a hot shower to help relieve arthritis pain and stiffness of the joints. Heating pads are also commonly used. Some clients report that they enjoy the warm water of washing dishes by hand and don’t use their dishwasher much anymore. Sometimes their heat treatment may be as subtle as warming their hands around their coffee mug. Thermal treatment options for arthritis can be divided into two categories: home thermals and therapy clinic thermals. I have provided a variety of options for use of heat to relieve arthritis pain. As with all things, use moderation. Heat dilates the blood vessels, like turning on the faucet. Increased blood flow to areas, such as the extremities can cause swelling. In addition, it is possible to give yourself a significant burn. Those with decreased sensation, peripheral neuropathy, and diabetes, should be particularly cautious. If swelling is an issue, you may want to follow your heat treatment with a brief cold pack, or alternate heat and cold. In general, I do not recommend soaking or prolonged submerging of an open wound. Although whirlpool baths used to be widely used with burns and wounds, we now know that such practices create a breeding ground for infection. I would say the majority of my clients with arthritis report that they start each day with a long, hot shower to help them slowly work out their joint stiffness and help them get moving. Soak in a tub of warm water, or a garden tub with jets. Some clients use Epsom salts in the bath. A small number of my arthritis clients have jacuzzis or hot tubs. In Texas, taxes paid on these spas are reimbursable with a doctor’s letter. These units have jets to agitate the water. Some have jets and spouts that can be directed to specific areas on your body, which can act as a mini-massage. However, exercise caution with spa tubs. The warm water is not only relaxing, it decreases blood pressure. When public spas say limit to 10 minutes, this is related to drops in blood pressure that can potentially be dangerous. Never go in the spa alone. There is a very real danger that you could pass out from low blood pressure. I instruct all of my arthritis clients in the use of contrast baths for pain and stiffness in their hands. This use of alternating warm and cold water is also highly effect in reducing swelling. I do not recommend the use of contrast baths with sutures or open wounds. Some of my physical therapy colleagues recommend contrast baths for clients for feet and ankles. You can read about indications, method and alternatives in my hub Arthritis Relief for Hand Pain with Contrast Baths. Try a foot spa. There are many models and a wide price range available. It’s like a whirlpool for your feet. Why not use it for your hands too? Small tabletop whirlpool baths are also available. Contrary however to what many people think, there are many things we can do to self manage our arthritis pain and stiffness. 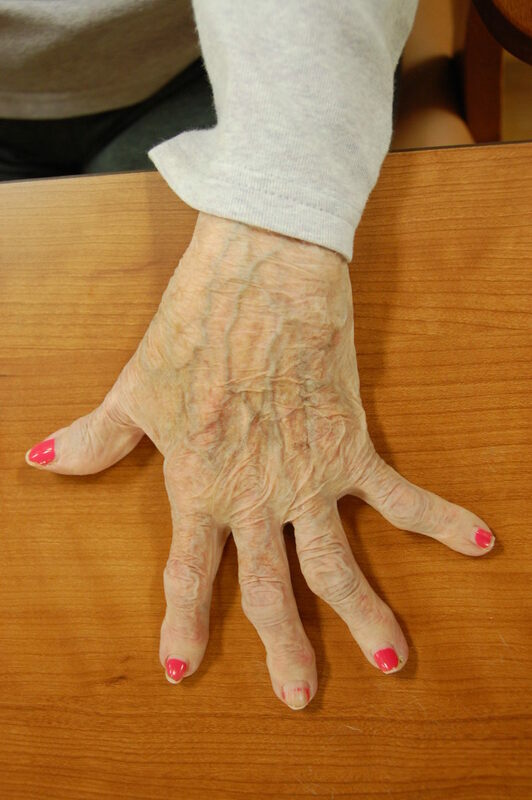 Overwhelmingly clients with arthritis experience decreased achy pain and stiffness in their hands after wearing resting hand splints for sleeping. I do not recommend moist, deep penetrating heat for clients with rheumatoid arthritis, particularly if having a flair-up of symptoms. Use a standard sized bath towel. I recommend wetting the towel one time, then microwaving when needed. You will have to experiment with microwave time. I use a hot towel for sinus pressure and frequently have to let my towel cool down before use. You can re-use a towel all day without it souring. Many heating pads now have a moist heat option, an insert that you wet for use with the heating pad. Follow manufacturer’s instructions. Try paraffin baths for hands, wrists, elbows, feet or ankles. Similar to the treatment you may get in a salon with a manicure, paraffin provides moisturizing, but also deep penetrating heat to the joints. Home paraffin units are available at stores like Walmart, Walgreen’s and CVS. My clients typically love paraffin. In fact, most who bought paraffin spas for their hands said, “If I would have known how much I was going to like paraffin, I would have gotten the biggest model I could find so I could do my feet too.” I would also recommend getting a unit with an adjustable thermostat, at a minimum, high and low settings. Personally I find the clinic paraffin too hot, and would want to be able to decrease my paraffin temperature. Also, if you don’t use the paraffin bath but a couple times a week, you might want to be able to turn the temperature on low, so that it partially solidifies, but will reheat quickly when needed. Most clients report that from the solid state, it takes a day to heat the paraffin bath to readiness. Follow manufacturer’s recommendations for heating and use. Do not use paraffin if you have open wounds. In the clinic we have clients dip their hand, bring it up to flash dry, and repeat for a total of about 6 layers. We then wrap the hand or hands in a plastic bag and then in towels. The paraffin remains warm for about 20 minutes. When treatment is completed, the wax pushes off rather easily. In the clinic we discard the used paraffin, but there is no reason you cannot reuse paraffin in your personal paraffin spa. Dry heat is better for rheumatoid arthritis. Heat dilates blood vessels. Used without alternating cold, heat can cause swelling, especially moist heat. This is especially true for rheumatoid arthritis. Heating pads are widely available and long standing option for home-based thermal treatment. Read manufacturer instructions and warnings. Many commercial thermal products can be microwaved and used as a heat treatment, but can also be stored in the freezer for use as a cold pack. Many of these products are available at major chains like Walmart, CVS and Walgreen’s. You may have to look to medical suppliers however, like North Coast Medical for others. Heat packs are available in various sizes. Some are similar to clinic versions of hot packs stored in hot water tanks, in that they have rows of cylinders. Most are microwaved though instead of heated in water. Products are available with synthetic bead-like materials, that conform well to the body. Many of these are marketed especially for the neck and upper back area. Once $30 to $40, these products can now be found for around $12. Heat therapy products are also available as a gel-filled pack or neoprene product. 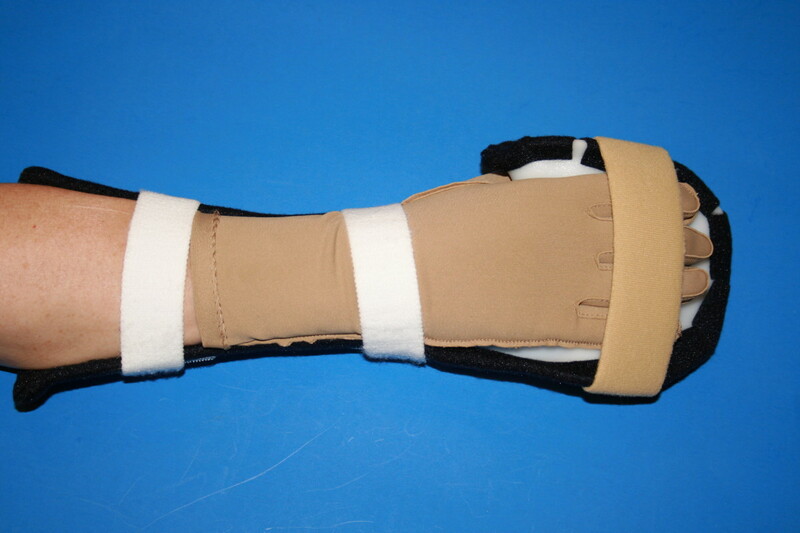 Some are targeted for specific body parts, such as mitts for the hands. Stick-on or strap-on slimline thermal patches are also available. These are chemically self activating. Buy large bag, or multiple bags of rice or dried beans. Put the uncooked product in pillowcase. Microwave to heat. You will initially have to use trial and error to determine the optimal time and power to heat. Put in some cloves, stick cinnamon or lavender in with the rice or beans if you do not like the smell of the heated product. Rice pack is especially good for the neck and shoulder area as the weight of the product will help hold it in place. Put uncooked product in pillow case or make a tube from a pant leg. See below, therapy clinic options for description of fluidotherapy. You can create a fluidotherapy home substitute with raw rice or dried beans. Heat the product in the microwave. With product in a large container, like a dishpan, immerse hands in the heated product. Wear cotton gloves to protect from burns. You may want to move your hands through the product, or grip the product in handfuls. As with rice heat pack, over time you will learn the optimal heating parameters. 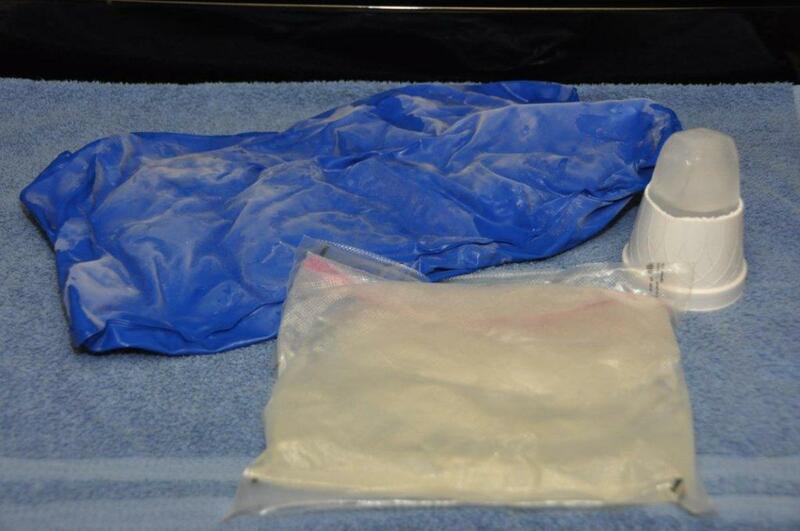 Hot packs are usually kept in a hot water bath in a hydroculator. These packs are extremely hot and usually necessitate 6 to 10 towels between your skin and the hot pack. Average treatment time is 15 to 30 minutes. Most occupational therapy clinics have therapeutic paraffin baths. This modality does not seem to be as widely available in physical therapy clinics. As described above, we usually have clients submerge the hand, with fingers spread, and immediately remove to flash dry. We layer 5 to 8 layers and wrap to keep the heat in. Fluidotherapy is an interesting name, because this treatment modality is not liquid. The unit is large and bulky and expensive. 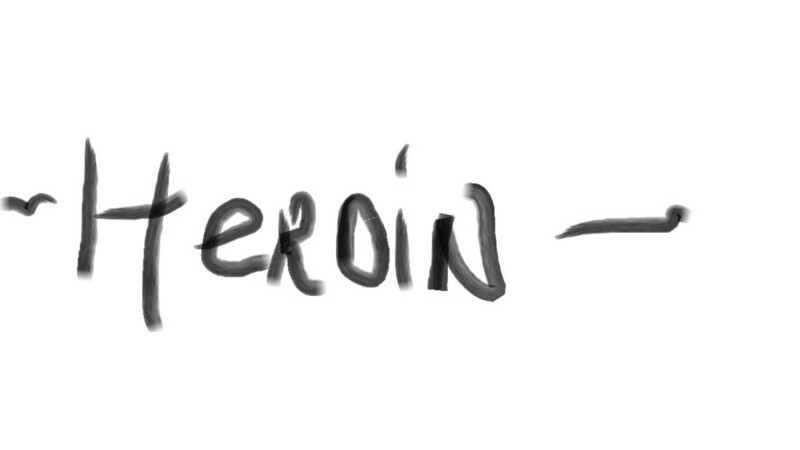 Unlike paraffin, it does not come in a home model. The Fluidotherapy unit has a tank with a fine synthetic sandy substance. The machine heats the substance and has a blower to circulate it. 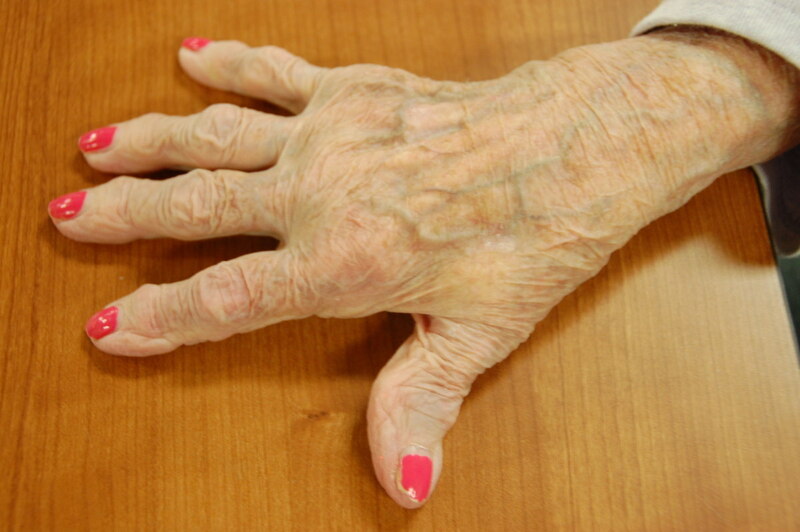 As a dry heat, I would potentially use it for clients with rheumatoid arthritis, where I would not consider paraffin. This heat modality is typically used for hands or arms, although I have worked in some clinics where physical therapy colleagues may occasionally use it for clients with foot pain. Clients may benefit from various clinic thermal modalities under the supervision of a Physical or Occupational Therapist. Underwater ultrasound is sometimes used to the small joints of the hands or feet. Diathermy, an “old” modality is making a comeback in some clinics, and can be used to help hand pain, shoulder pain and other joint pain. There is an array of physical agent thermal modalities that may be beneficial. Your doctor or therapist can discuss clinic thermal modalities which may be used for your upper extremity, neck, back, or lower extremity joint pain. Thanks for the visit xres55. 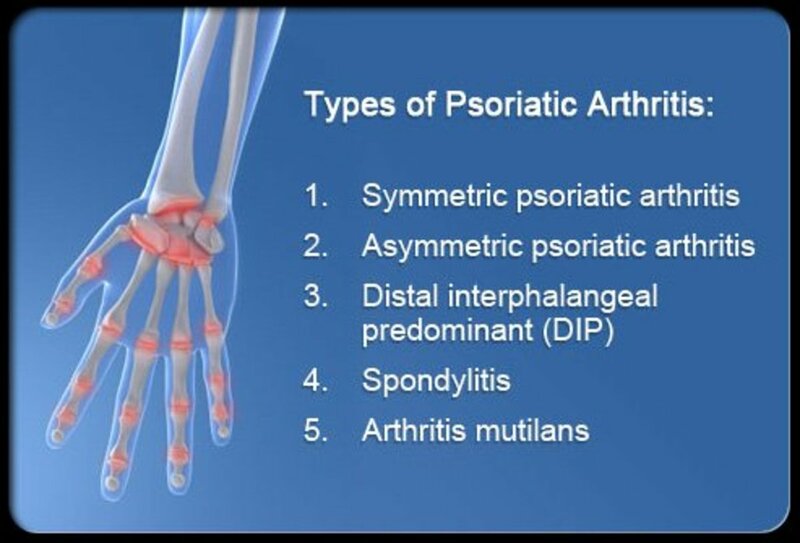 Arthritis is kinda the exception. Most situations however call for ice. 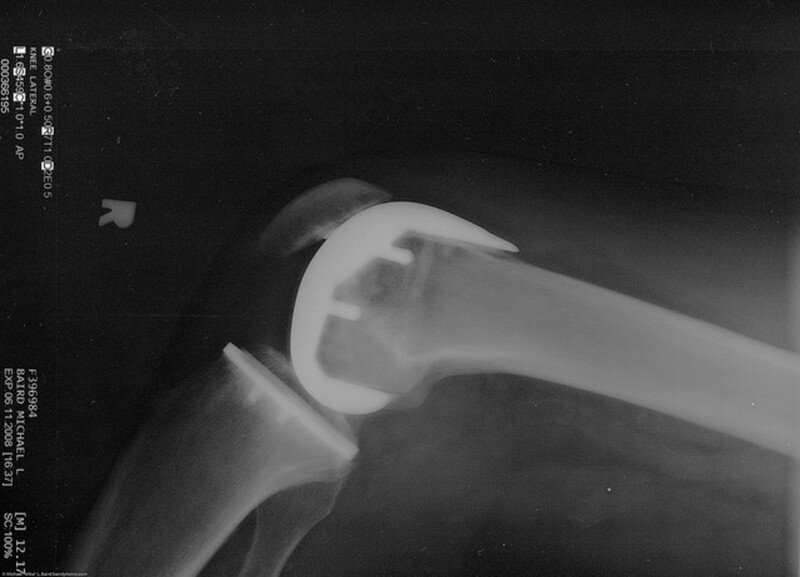 And ice has a place with arthritis too, especially knees and shoulders. Another high quality hub rmcrayne. Surprising that more people do not know you should be applying heat rather than ice. Thanks for the visit and comment Aiden. I highly recommend aquatics exercise for arthrits also JTrempe. Great hub; a must for arthritis sufferers. Thanks Jen, means a lot coming from you. Very informative! Thanks for a great hub. Thanks for reading and commenting dvdgarces. I'm a big proponent of alternative medicine! Excellent hub..those treatments definitely help especially to keep flexibility up. Also to add to your therapy you can try using Chinese herbs and acupuncture. Chinese herb teas can due wonders and they can be formulated specifically for you. They both help to reduce inflammation as well as balancing your yin and yang (chi) energy. Thanks ZsuZsy. I would love to trade links. I think your article would be a better fit with my Arthritis Relief for Hand Pain and Stiffness with Contrast Baths hub. I have 4 Arthritis hubs so far. 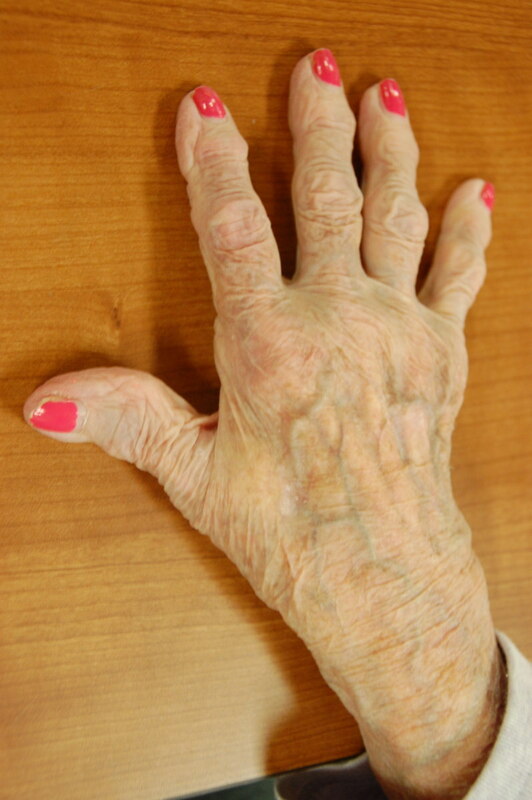 I will also be writing an Arthritis for hands overview hub, which along with contrast baths and resting hand splints, will include Joint Protection strategies for the hands. Great hub, I find heat treatments help more then cold. And naturally I feel a heck of a lot more agile when the warm weather hits. Okay if I link your great hub to mine Hands on...on Hands? It deals with arthritis too. Thanks Robert for reading and commenting. I actually need to go back in and put some links to some of the heat products like I did for my cold treatment options. Several of these products are new to me and sound good! I may have to go to Wal-Mart the next time I've got spending money. Thanks! Thanks judydianne. People often don't realize how many help strategies they have found for themselves. The fingers on the coffee mug in the morning does help. Thanks for this informative hub. Thanks so much for all of your support lyrics. This will no doubt come in helpful-thanks!